The humble parsley - who would guess it's actually a super food rich in anti-oxidants, vitamins, minerals and fibre. Yet how many times do you see it looking sadly discarded on a plate at a restaurant? 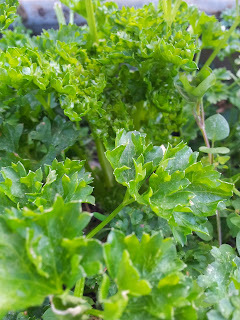 To grow parsley at the start can be tricky but once its established you will always have it. It doesnt like being transferred as it has a root system like a carrot, but I have had better luck if the seedlings are really little. One plant will usually last for two seasons. I let parsley run to seed and in my garden wherever it lands it stays. It seems to thrive in partial shade but it also grows in the sunny sites. My son, Gus the chef, let me into this secret of creating a fresh bouquet for dishes that have been slowly cooked, especially casseroles. It's really easy and so effective. 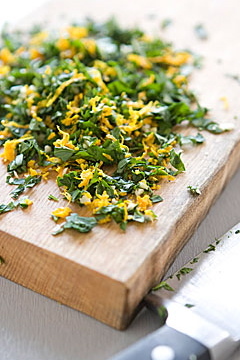 Finely chop parsley, half a clove of garlic and zest from a lemon and add last minute to your dish so that the aroma is still there when you take it to the table. Now that's a garnish! I was reminded again of Gremolata last night when I attended chef Alison Lambert's 3 hour cooking class celebrating spring. Alison introduced us to this topping as a final garnish/flavouring for her oven roasted carrots. Alison gave us a wonderful night's entertainment talking about living and working in Europe for 10 years, giving us handy hints that I will pass onto you (promise) and a gorgeous two course meal featuring a Greek lamb dish with pasta...yum! (might make that for the next family gathering). Alison is the Dunedin Farmers' Market chef and like me she stands by herbs stating that they can change dishes from ordinary to something extraordinary. I am sure, like me, you will now have new respect for the humble herb parsley. 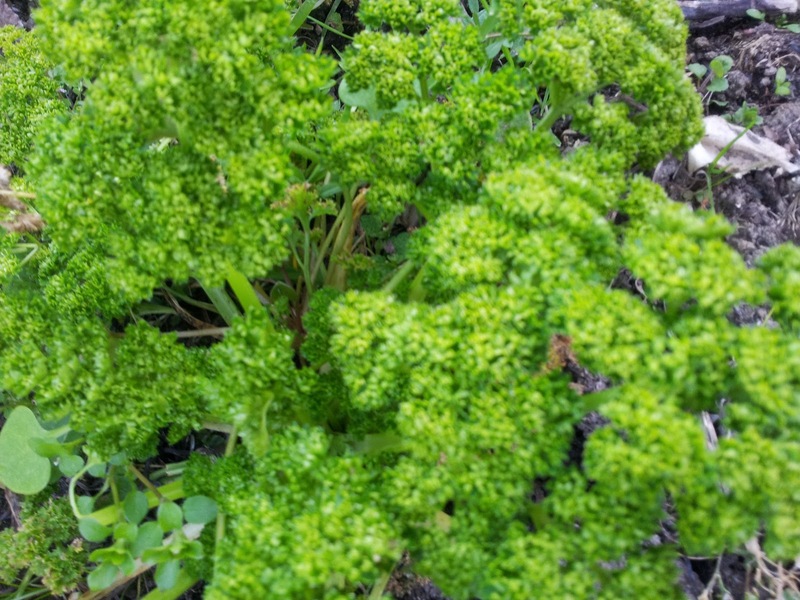 Parsley is said to assist in treating PMT, menopause and easing cramps. Eating parsley everyday is claimed to reduce blood pressure. 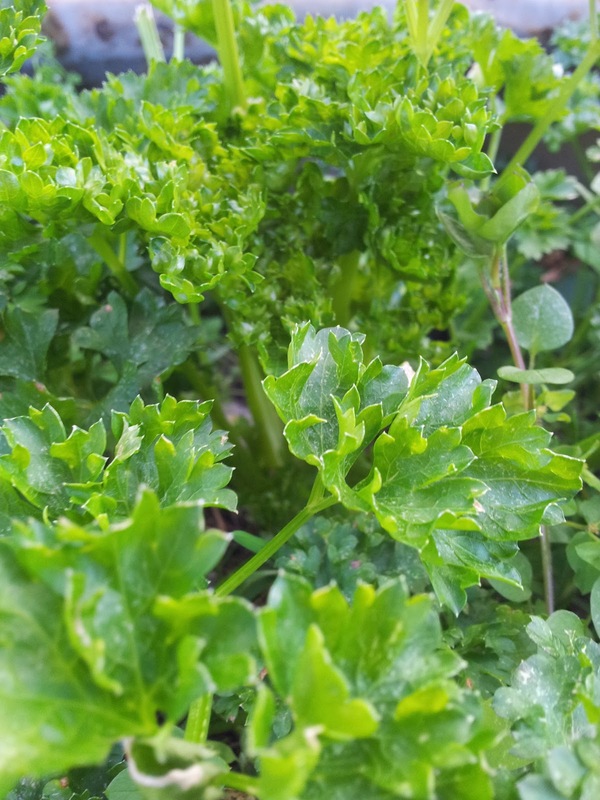 It's probably the richest herb source of Vitamin K and is loaded with vitamins A, C and B that strengthens the body's immune system, stimulates digestion of protein and fat. It is a diuretic that helps to rid the body of sodium and a good source of folic acid as well as iron. Chlorophyll found in parsley is a good cure to stop and avoid bad breath - that's why it is recommended that you eat it after consuming garlic.